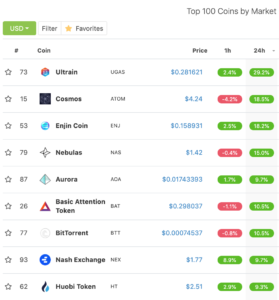 Bitcoin (BTC) has been mostly trading up in the last 24 hours and is currently at 5152 USD and holding support on some of the faster EMAs (9) on the daily chart and is still bullishly staying above the 200 day moving average. 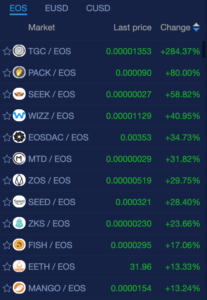 With BTC even moving a little in the positive direction it has given the Altcoins some room to run. 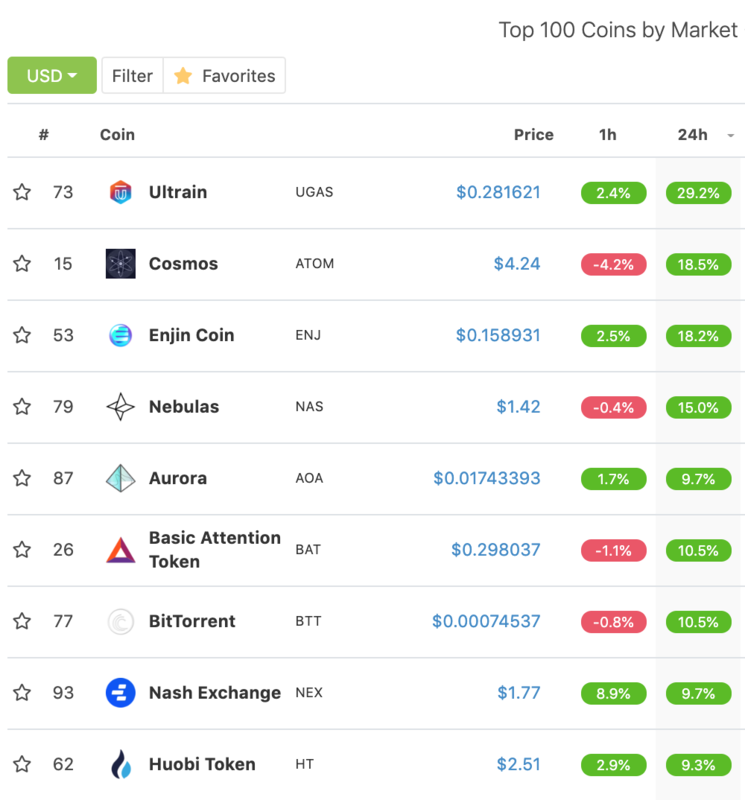 The top double digit gaining cryptos in the 100 market cap coingecko.com: Ultrain (UGAS) 29%, Cosmos (ATOM) 18%, Enjin Coin (ENJ) 18%, & Nebulas (NAS) 15%. 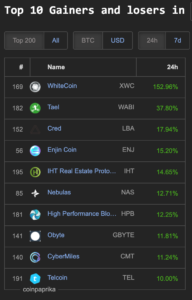 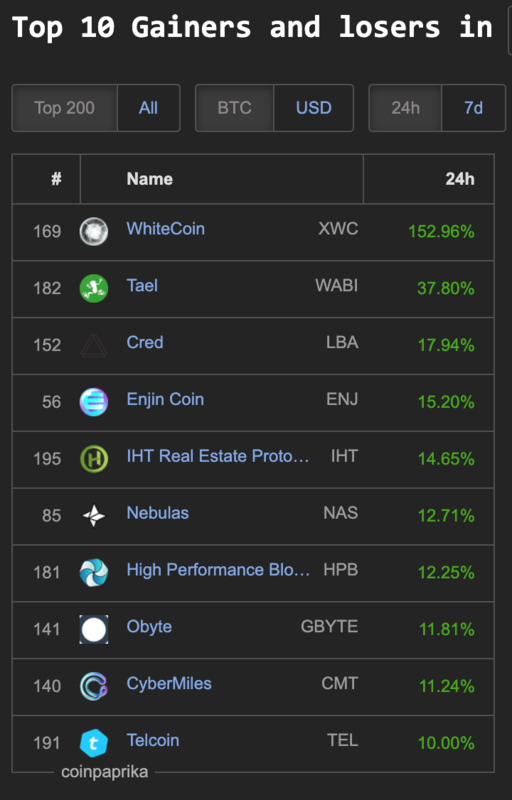 Coins leading within the 200 market cap on Coinpaprika.com: WhiteCoin (XWC) 152%, Tael (WABI) 37%, Cred (LBA) 17%, Enjin Coin (ENJ) 15%, IHT Real Estate Proto (IHT) 14%, Nebulas (NAS) 12%, High Performance Blo (HPB) 12%, Obyte (GBYTE) 11%, CyberMiles (DMT) 11% and Telcoin (TEL) 10%. 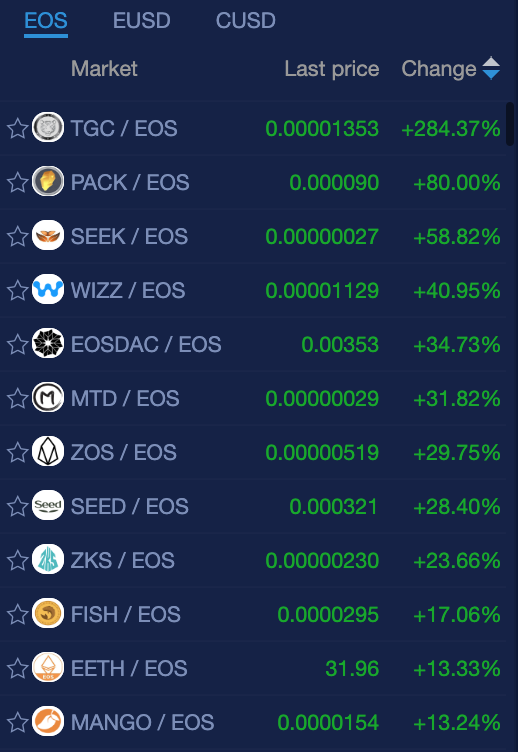 EOS coins on NewDex.io: doing well are TGC (284%), and 15 others with double digit gains, some non gambling coins were: SEEK (58%) WIZZ (40%) EOSDAC (34%), ZOS (29%), SEED (28%), ZKS (23%), EETH (13%), TPT (11%), and PEOS (11%).